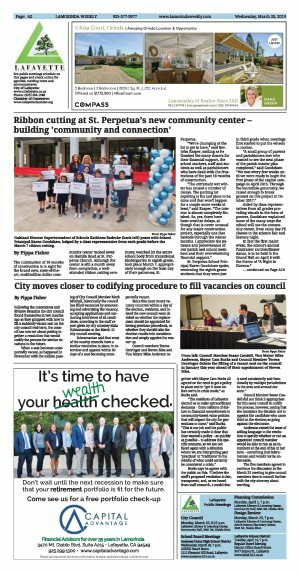 Following the contentious and divisive situation the city council found themselves in two months ago as they grappled with how to fill a suddenly-vacant seat on the city council mid-term, the council has now set about putting together a resolution that would codify the process for similar situations in the future. When a seat becomes unexpectedly vacant, as happened in November with the sudden passing of City Council Member Mark Mitchell, historically the council has filled vacancies by announcing and advertising the vacancy, accepting applications and conducting interviews of all candidates, according to the staff report given by city attorney Mala Subramanian at the March 11 city council meeting. Subramanian said that most of the nearby councils have a similar resolution in place, to interview and appoint within 60 days of a seat becoming unexpectedly vacant. Since this most recent vacancy occurred within a day of the election, residents, and indeed the new council were divided on whether the replacement should be appointed following previous precedents, or whether they should take the election results into consideration and simply appoint the runner up. Council members Teresa Gerringer and Steven Bliss and Vice Mayor Mike Anderson together with Mayor Cam Burks all agreed on the need to get a policy in place and to "get it done before we're in crisis mode," as Burks said. "The residents of Lafayette elected us to make extraordinary decisions - from millions of dollars in financial commitments to community-based value policies that will impact the city for generations to come," said Burks. "This is our job and the public has certainly made it clear that they wanted a policy - as quickly as possible - to address this specific scenario, so we are not faced again with a situation where we are interpreting past `practices' or `traditions' in the middle of what could certainly be considered a crisis." Burks says he agrees with the public on this. "I believe the staff's proposed resolution is fair, transparent, and, as we heard from staff research, a model that is used consistently and functionally by multiple jurisdictions in the area and around our state." 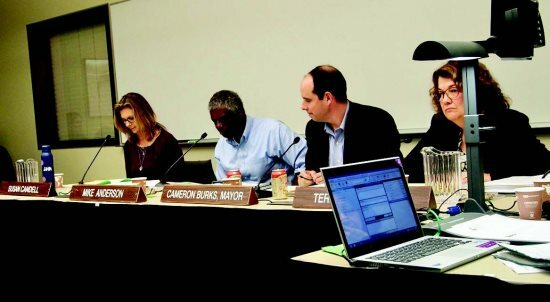 Council Member Susan Candell did not think it appropriate for this same council to codify the process, however, saying that she considers the decision not to appoint the candidate who came third in the election as going against the electorate. Anderson raised the issue of adding language to the resolution to specify whether or not an appointed council member would be able to run as an incumbent at the end of his or her term - something that Subramanian said would not be enforceable. The five members agreed to continue the discussion to the March 25 meeting to give council members time to consult further with the city attorney about wording.